Available in black and transparent. A rigid, smooth case with a high quality print and protection. A custom case for your Samsung Galaxy J7 2015. Create your Samsung Galaxy J7 2015 slim case. Have you just purchased your new Samsung J7 2015 and are afraid to break it? Want to add a personal touch to your phone while providing additional protection? Well, you've come to the right place! It is possible to create your own slim case in just a few clicks for your Samsung Galaxy J7 2015. You are the designer, only your imagination is the limit! 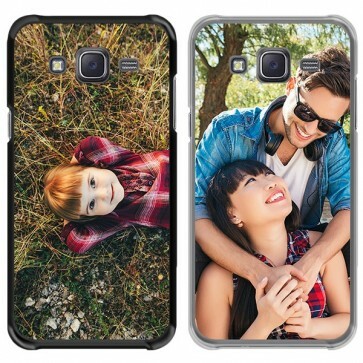 At GoCustomized our personalised cases ensure protection on the back and sides of your Samsung Galaxy J7 2015. The rigid material of the case is designed to absorb impacts in the event of a fall and thus prolong the life of your Galaxy J7 2015. You can add an image, a photo, a logo, we will print it on the back of the case. A personalised case from Gocustomized is also a good gift idea for any of your loved ones. Discover our gift cards, and give them a unique and personal gift! 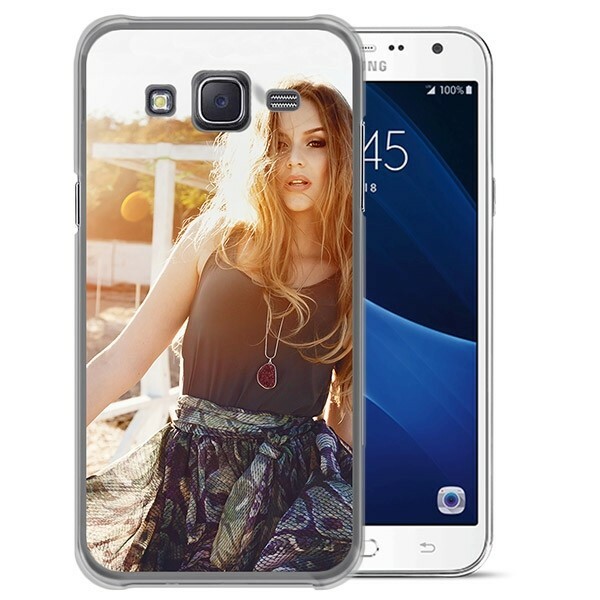 How do I design my Samsung Galaxy J7 2015 case? Creating a custom case is very simple! With the online Customizer it is intuitive and fun to use. The Samsung Galaxy J7 2015 slim case is available in black or transparent. So, once you have chosen the base color, you can upload an image, photo or add text to get a unique and creative design. Uploading a photo from from Instagram, Facebook or the hard drive of your computer is possible. For a perfect personalised case, you can modify the image and the text according to your desires (enlarge, shrink, turn, change the font, size and color of the text). You can see in real time what your design will look like on your Samsung Galaxy J7 2015 case. Do not wait any longer! 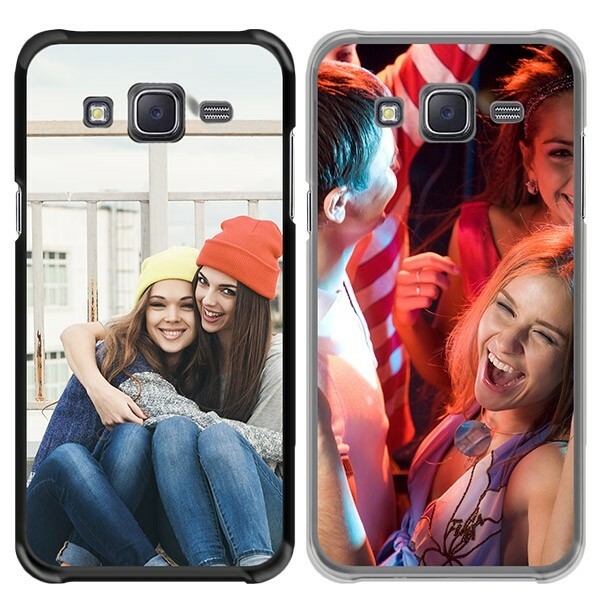 Personalize your own Samsung Galaxy J7 2015 case! Time to finalize your order! Once your design is complete, what should you do? Check your creation well: look to see that the image is of good quality, centered, text without typographical errors or any other issues. You can then add the personalized case to your shopping cart. Check one last time that it is indeed a case for Samsung Galaxy J7 2015. You can then finalize your order by going to the payment page. Add your personal information and the desired delivery address. It's now up to us to get to work! We will print your slim case as you saw it during the creation. Our production team ensures high quality printing and a slim case which will not fade over time. Did you order before 4pm? We ensure the creation and shipment of your order the same day. Do not wait any longer and give your Samsung J7 2015 a new style!